Pradhan Mantri Mudra Yojana scheme is one of the best schemes of NDA government. A great initiative to encourage micro and small entrepreneurs. Indians are people who depend on hard work and talent. The best opportunity for those who look for giving a shape to their ideas by getting a maximum of 10 lakhs loan. No collateral required for MUDRA loan. PMMY scheme is valid for non farm loans segment. Banks can lend to members lending institutions which lend to (MUDRA) Micro Units Development and Refinance Agency Limited. However, the PMMY scheme mentions categories under which the lending institutes can grant loan based on the income generation. Tarun Loans – From 5 lakh to 10 lakh /-. This is truly a boon for those wishing to aim success at low interest rates investment opportunities. As usually, the micro entrepreneurs usually look for unorganised sector lending for faster investments where they land up in paying higher interest rates. All scheduled banks public and private banks are eligible for lending provided their NPAs not more than 3% and should have 3 continuous years profit record. Getting a loan under MUDRA scheme is easy as lenders in India are looking for lending to meet their targets set by the government itself. Tarun – Rs. 5 lakh – 10 lakh – Minimum 16%. MUDRA loan applicant should be generating minimum revenues to be eligible for loan under any category. A vegetable shop vendor, machinery shop, manufacturing units, food service units, artisans, small industries, anyone can apply for the MUDRA loan. All kinds of trading, manufacturing and service sector entrepreneurs are given loan under pmmy scheme. Like any other loan, the MUDRA loan also needs KYC documentation done. Since it is a collateral free loan, it is easier in deciding to go for the loan. Income statement of 6 months. Supplier details like machinery vendor name, quotation of machinery needed to be bought. If loan is taken for working capital, then the MUDRA loan applicant need to submit the following documents too. Mudra loan is also a loan category where every bank and branch deals with the scheme. So, if you have a great idea and if you are already making revenues, if you are wishing to expand yourselves, then you can approach the bank nearby. Apply online or apply at the branch. Fill all the fields required. Show all the documents required for no further delay in the process. Get sanction letter for your enterprise. Get the loan amount disbursed in your account directly. Get an acknowledgement from the bank for all the documents you deposited with them. Since, the pmmy scheme mentions there is no collateral to be asked for MUDRA loan applicant to grant the loan, the banks can ask different questions and documentation to delay the process of sanctioning the loan. You can provide all the required documents at one go and avoid further delays. The banks have no right to reject an application if the documents are all in place. If still the lender is not ready to avail loan, you can raise a complaint against them in consumer forum or can file an RTI. Shop for best interest rates from any bank you choose. There can be different rates according tot he category you fall in. Hence, visit every nearby bank and try reducing the interest rate before you avail the loan. Usual repayment period is 5 years. Some banks also help the applicants to choose a bit longer tenure. Choose the best fit as the EMI effects the tenure. Loan Process – Easy for personal loan and a bit tough in real for Mudra loan. However, if you are in the category of getting a mudra loan, it is recommended to opt for it. Loanyantra’s services are coming soon to meet your needs for Mudra Loan. Nevertheless, Personal loan is also a good option for your immediate needs and Loanyantra is the best one to go with as you get cashback and also low interest rate from many top banks in India. All you need to do is just give a missed call to us for personal loan and our experts will take care of everything. Indiabulls is a popular name when it comes to choosing a housing finance company. In the legacy of more than a decade, the company has established itself as a trustworthy company that renders different schemes and policies, that helps people meet their financial needs. What makes Indiabulls different from other banking and financial institutions, is that it offers the highest LTV or Loans to Value ratio in the Indian market. It means that if you are taking a loan of Rs. 30 lacs, the Indiabulls offers loan amount up to 90% of the market value of the property. For loan amount above 30 lac up to 75 lacs, it offers LTV to a maximum of 80% of the property value. It also includes the land cost. The most important feature of Indiabulls housing finance is that it offers the highest LTV ratio in the market as compared to other banking and financial institutions. Attractive interest rates are yet another feature that differentiates Indiabulls from others. The prospective borrowers can apply for the housing loan individually or may have a co-applicant. The co-applicant can be spouse, parents, siblings or son or daughter. It offers floating interest rates. It doesn’t apply on the loan disbursal amount. Any change in the interest rate will impact only the interest part of the EMI. Indiabulls housing finance offers e-home loans making the loan application hassle-free. What is the different purpose for which housing loan from Indiabulls can be used? Purchasing a new home, flat or independent houses. Purchasing a new plot for construction. The loan application and approval process of Indiabulls is simple but it requires the browser to submit the documents that can substantiate his/her credibility to repay the loan. Indiabulls offers housing loans for both the India residents and NRIs residing in Dubai, the UK and the US. Listed below is the complete set of documents that one needs to submit to get a housing loan. Address proof like Adhaar card, Driving License, PAN card, Passport, Voter ID, Utility bills of last three months- this can be electricity bill or telephone bills. If they don’t get Form 16, they can submit Form 26AS or ITR of last 2 years. Last six month bank statement. Education certificates Along with the application form, the BSF personnel needs to submit service certificate. To get the benefit, the BSF personnel needs to submit the service certificate If they are on rent then they need to submit rent agreement with utility bills of last three months. Bank statement of 1 year for NRE or NRO account. Recent Employment contract along with Consumer Credit Check report. Indiabulls Housing Finance Loan– This loan scheme is for the salaried, self-employed, BSF, merchant navy and NRIs. You can use this loan for buying a home or building your own home. The loan comes with attractive interest rates and tax benefits which makes it one of the most popular choices amongst those who are looking for a home loan. Rural Home Loans- Indiabulls offers home loan to the residents of rural and semi-urban areas. They can use this loan scheme to buy a home in rural areas. The rural home loans from Indiabulls comes at an affordable and attractive interest rate. Plot loans from Indiabulls- well, if you don’t wish to buy an apartment and are willing to construct your own house, then Indiabulls has plot loans for such needs. This lucrative interest rate makes it easy for individuals to build the home of their dream by availing plot loans. Home Extension Loans- This is yet another popular loan schemes offered by Indiabulls. Home extension loan lets you use the loan amount to construct a new home, or if you are planning to add another floor to your house. Home Improvement Loans– Your house is a reflection of your lifestyle and if you want to catch the eyes then it is important that your house should look different. To fulfil this dream of yours apply for the Home Improvement Loans from Indiabulls that helps you renovate your house, from painting to repairing to maintenance, you can use the Indiabulls home improvement loans for the same. It can also be used for home renovation. Availing housing loan from Indiabulls will not only fulfil your dream of buying a home or building your dream house but at the same time, it also gives you tax benefits. The Income-tax authorities offer certain benefits to the people who take home loan from specified financial institutions and Indiabulls is one of them. Section 24- As per this section of the Income Tax Act, an interest that the borrower pays on the capital borrowed for construction, repair or acquisition of property gets a rebate. The maximum amount which is eligible for deduction is Rs. 2,00,000 if the property is self-occupied. In case of the rented out property there is no limit of the amount of deduction. Section 80C– As per this section of the Income Tax Act, the maximum deduction amount is Rs.1.5 lacs. This amount is under rebate on income or repayment of principal amount of home loan during the financial year. Why choose Indiabulls Housing Finance from Loanyantra? If you are searching for a good housing finance company then Indiabulls is a good choice. Loanyantra offers you a good platform to scout through a number of banking and financial services that provide a home loan. Our customer service will guide you through the entire process of loan application and approval. You can compare the interest rates and other benefits offered by banks in one go and finalize the one which can be in your best interest. Why should you consider Loanyantra as a trustworthy platform? One-stop solution- Loanyantra offers one stop solution where you can access all the information in one click. Unbiased Reports– Loanyantra is a third-party platform where the information is not sponsored by any particular bank or financial. All the information on our website is unbiased and we present you critically analysed reports which will be in the best interest of the borrower. SPOC- Loanyantra offers you a dedicated officer that will help you with the loan application. They will work in coordination with you until the loan gets processed. Quick and time-saving- Time is money and Loanyantra completely comprehends this. We offer quick services and help you complete the paperwork so that you get your loan approved in time. If you are searching for the right loan provider and are confused who to finalize, then Loanyantra will help you choose the right bank or financial institutions. To explore more about our services and how can we help you contact us today. In this highly competitive property market, getting a pre-approval for a mortgage is absolutely the first step in the home buying process. And while the amount of paperwork involved may put you off, not getting pre-approved before looking for a property will ultimately cost you. Securing a pre-approval helps define your property search so you know what price range you can realistically afford. It also shows the seller that you’re serious about buying, and it’s an absolute must-have if you’re buying at auction. At the very least, you need to have saved a 10 per cent deposit of the property value. If you have less than this, you still have a few options: you could ask a family member to gift you part of the deposit, or act as a guarantor on your home loan. Either way, lenders want to see you are capable of saving a deposit. Defining what it is you’re looking for in a home is an essential part of the home buying process. Before you attend an open house, consider what it is that’s important to you in buying a property: for example, living closer to work or schools, a family lifestyle with a large garden, access to public transport. Research reliable property data to get a realistic idea of property prices and what you can expect to buy for your budget. Remember to factor in the costs associated with buying, like mortgage registration and transfer fees, loan application and establishment fees, and Lenders Mortgage Insurance if you’re borrowing more than 80 per cent of the property value. Mortgage brokers have access to a far bigger pool of financial resources and can often secure finance for buyers who have been turned down in the past. In many instances, mortgage brokers are able to negotiate sharper interest rates or terms. Most importantly, they’re experienced in dealing with and understanding lending policies of different lenders, so are able to guide you through the home buying process and ensure you make the best decisions. Get in touch with our team today if you need assistance or advice around the home buying process. HDFC housing loan – Check your eligibility now or Calculate your EMI to decide at the fastest. If you add a co-applicant the you enhance your eligibility for a higher loan amount. Adding a woman co-applicant will help you get better interest rate. Maximum Loan Amount It varies from applicant to applicant and other factors decided by the bank. When it comes to choosing the best option for the home loan, then one factor that instantly lures the borrowers is the interest rates offered by banks. Well, you have a number of banking and financial institutions offering the home loan. However, the right choice would be the one which offers attractive interest rates, expansive set of features, longer loan tenure, nil prepayment charges and great customer support is something that one eyes at. HDFC Bank is one of the leading banks in India that offers myriads of financial products and is known for its housing loan schemes. Where can you use HDFC Housing Loan? Every proposed owner of the property is considered as a co-applicant. But, all co-applicant cannot be co-owners. The bank offers NRI home loan to non-resident Indians on a condition that the applicant must produce the proof the same. The bank offers HDFC rural home loan to the farmers, agriculturists, dairy farmers etc. There are a series of benefits offered by HDFC bank that makes it a popular choice amongst the home loan seekers. It offers comprehensive loan schemes for buying property, plot, or purchase of the resale property. You can also use the housing loan for construction of the house. One of the distinctive features of HDFC housing loan is that it offers competitive interest rates when compared to other banks. People-friendly policies and customer support makes HDFC bank a popular choice. There are no hidden charges or last-minute costs that come up while you apply for a home loan from HDFC bank. Innovative products like home extension loan and home improvement loans. Door-step service with legal assistance. Special offers for NRIs, defence professionals, farmers etc. Anyone who is salaried or self-employed can apply for home loan for HDFC bank but they must complete all the paperwork. Address Proof- Utility bills like electricity bill, phone bill, Adhaar card, Voter ID, Passport. Proof of Income- The salaried individuals need to submit last six-month bank statement showcasing their credited salary. Additionally, the salaried individuals need to submit employment contract, appointment letter. The Self-employed individuals need to submit their recent ITR and P/L account attested by a CA. The bank may also ask you to submit the buyer agreement or allotment letter. You can avail of deduction on the principal of the home loan repayment up to a cumulative limit (including provident fund, insurance premium etc.) of Rs.1.50 lakh per financial year. b) Without any limit if the house is rented out. In case of a joint home loan, these tax deductions available on home loans can be enjoyed by the co-applicants separately, provided they are co-owners of the property and each of them is contributing to the home loan repayment. The actual amount of tax benefit enjoyed by each co-applicant is in proportion to their contribution in repayment of principal and interest, subject to the limits mentioned above. Home Loan for Salaried and self-employed individuals- This is their primary home loan product for the salaried and self-employed professionals. HDFC NRI Home Loan- This loan product has been specially developed for the Non-Resident Indians who are willing to invest in property in India. HDFC Pre-Approved Home Loan– This loan is for those who are looking to negotiate with the sellers. HDFC Home Improvement Loan – or popularly known as HIL is for those who are willing to make structural improvement in their house like painting, construction etc. HDFC Home Loan Transfer-It is for those who want to shift their current home loan to HDFC for a better interest rate. Home Extension Loan- If you are willing to add an extra room to your house or do any kind of modification, then HDFC offers you Home Extension Loan for the same. You might get confused between Home Extension Loan and Home Improvement loan, but an important point that differentiates the two is that the home extensions involves an increase in the total area of the house. HDFC Home Loan for Agriculturalists- This home loan is for farmers, planters, horticulturists etc. who want to buy or build a home in villages. The bank doesn’t ask them to mortgage their land to get a home loan. The farmers also don’t need the Income Tax Returns to apply for a home loan from HDFC bank. HDFC Rural Housing Finance-This loan is for the private sector and government employees for buying properties in rural residential. 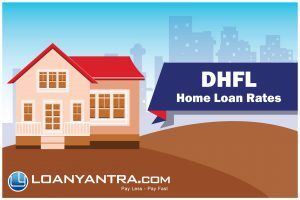 Why choose HDFC Home Loan via Loanyantra? A simple platform with a multitude of benefits– With just one click you can easily create the loan rates provided by different banks across the nation. Unbiased Reports– We are a third party platform and hence all the data provided by us is not influenced by any of the banks or financial institutions. Be assured that you will get the correct and right information which will be in the best interest of the customer. Easy to apply– Loanyantra wants to become a channel that can simplify your task of finding right lender and applying for the same. We help you with the complete procedure of home loan application and approval. Time-Saving- Time is money and if you don’t want to waste time searching for the right bank, then you must long on loanyantra.com. We provide you with complete information and our team will help you complete all the paperwork in time so that you don’t waste your time running around. No hidden charges– We don’t believe in bringing the cat out of the hat at the last moment. There are no hidden cost or charges that will leave you perplexed. If you find this interesting and want to apply for home loan, then Loanyantra is the right platform for you. Our unbiased approach has made us carve a discernable niche for ourselves in the market. Moreover, we make sure that none of our customers face the hassle of running around and hence we also help you with door service. Connect with us today for easy home loan approval.